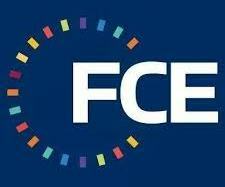 FCE is Important for EDI System Performance. Electrodeionization systems depend on conductivity, CO2, and Silica; all brought together by using FCE, or Feedwater Conductivity Equivalent. For an electrodeionization system to operate properly, the feed water must be high-quality Reverse Osmosis (RO) permeate. An RO permeate water analysis will provide the data that is needed to estimate FCE. FCE (Feed Conductivity Equivalent) determines the “load” on the EDI, and predicts electrodeionization performance well. As FCE increases, the load on the EDI system increases, and EDI product quality decreases. The theory is explained below. FCE, normally in microsiemens (technically μS/cm), is the weighted sum of the ionic load, the load due to Total CO2 (CO2 + HCO3–+ CO3-2) in mg/l and silica (SiO2) in mg/l. This weighting correlates with water treatment experience. Conductivity is the measured conductivity at 25°C, in μS/cm. Total CO2, in ppm, is the sum of the concentrations of CO2, HCO3–, and CO3-2. This is important for 2 reasons. First, as pH changes the Total CO2 remains the same but the species present convert from one to the other. Second, CO2 and its ionic forms are weakly absorbed on ion exchange resins and adds a significant load to the EDI. Silica, SiO2 in ppm, generally adds a small load but is added for emphasis. Note that in this example many users would only consider the EDI load to be 5 μS/cm, when actually it is almost 24 μS/cm. As you can see, CO2 and HCO3– contribute significantly to the load on electrodeionization. Inside the EDI, which is at pH 7.0, most of the CO2 exists as the bicarbonate ion, HCO3–. SnowPure’s EDICAD™ projection program automatically calculates FCE for the design engineer and user. EDI modules are filled with ion exchange resins, which remove the ionic load from the feedwater, and then provide a medium for charged species to migrate/diffuse toward the anode (+) and cathode (-). They pass through the ion exchange membranes, enter the concentrate chambers, and are carried away. The result is the production of ultrapure water. The resins can be thought of as first a “working bed” and a “polishing bed”. The working bed can be thought of as where the ions and HCO3– are absorbed. The height of the working bed within the EDI is roughly proportional to FCE. The working bed might increase the purity to 0.1 μS/cm, or 10 Megohm-cm (10 MΩ). The height of the polishing bed, which further increases purity and removes SiO2, diminishes as the working bed height increases. Therefore, for the highest purity, the polishing bed must be maximized, so FCE must be minimized. Single-pass RO can achieve FCE between 10 and 30 μS/cm, mostly dependent on the feedwater and the CO2. This meets requirements for pharmaceutical PW production and many industrial needs. RO+GTM can achieve FCE between 5 and 15 μS/cm, well-suited for most industrial ultrapure EDI purities. 2-pass RO can achieve FCE between 1 and 5 μS/cm, often required for power generation and semiconductor/electronics applications where purity and low silica levels are critical. In summary, FCE represents the load on the electrodeionization system and is the primary predictor of the purity performance of the EDI. Understanding FCE is important in the design of ultrapure water systems, leading to the best choices for the EDI system pretreatment. EDICAD™ calculates FCE automatically.